Car leasing tips are our way of reaching out to guide you through a stress free leasing experience. …because anyone thinking of leasing a car for the first time should be aware of the pitfalls and hidden costs lurking in the small print of some leasing contracts, since these can often stall drivers with unexpected bills and increased premiums. FVL lifts the bonnet on car leasing as we give you our top five car leasing tips to look out for when searching around for the best deal. Hop into the driver’s seat as we take you on a journey designed to save you money and leave you motoring without misery. #1 of our top car leasing tips: Identity parade – is the car being supplied to you the same as the one you’ve chosen? This may sound obvious, but some car leasing companies have been known to supply vehicles that don’t match the spec as advertised when taking up the lease. Take a good look at your vehicle – have you chosen any extra options and, if so, are they included in the car supplied to you? An easy way to do this is to ensure your quote comes with a P11d price – the price set by the manufacturer for company car tax. #2 of our top car leasing tips – Take a good look at the payment schedule. How much is the upfront deposit and how many subsequent payments will you have to make? Deals vary, but a standard car leasing plan will normally ask for three rental payments in advance followed by 23,35 or 47 monthly payments for two, three and four-year deals. #3 of our top car leasing tips: Check for hidden charges – Some companies cunningly conceal administration or extra delivery charges in their car leasing packages. Take a good look at the small print and, if you’re unsure, just ask. #4 of our top car leasing tips – Which finance company is behind your contract? If your broker is unwilling to give you the lowdown on the finance company involved, it’s time to walk away from that deal – no matter how persuasive the sales patter is. Being in full possession of the financial facts will ensure you don’t lose out to commission-hungry salesmen eager to bump up their bonus payments. #5 of our top car leasing tips: Carry out a detailed inspection of the vehicle – When you return a leased vehicle, the company involved will carry out a detailed inspection that makes MOT checks look like a casual glance. Many motorists can skid off the tracks here, so it makes sense to carry out a comprehensive investigation upon receipt of your new vehicle. Check every inch of your new car for scratches and defects and, if there are any, take photographs to use as evidence. It’s also a good idea to enlist the help of a friend, as they may be able to spot anything you’ve missed. The list of car leasing tips isn’t exhaustive so please do your research carefully before picking a suitable company to lease your car from. Car leasing can be an ideal option if you want to drive away a shiny new vehicle for a short period of time. And, by following our five top tips, you’ll also be able to do so without worrying about any hidden charges or roadblocks. Happy motoring! Please leave us a comment if you have more of your own car leasing tips to share. 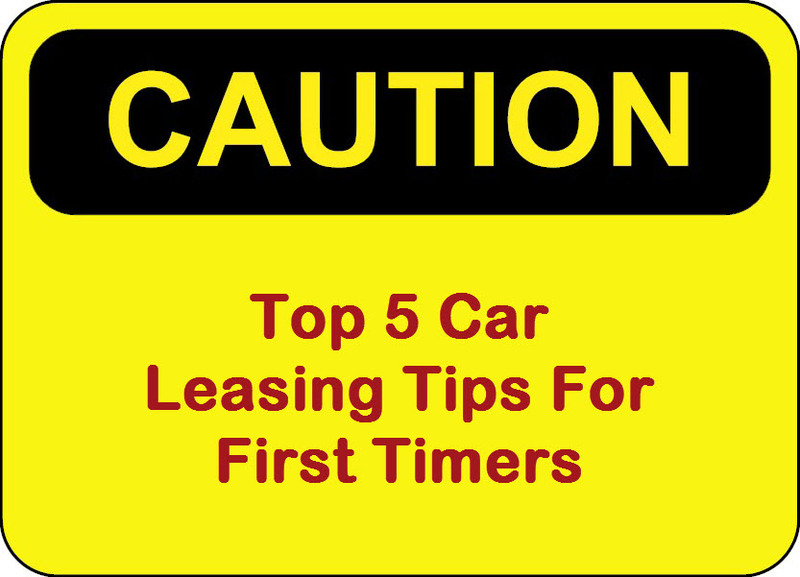 This entry was posted in Advice and Guides, Leasing News and tagged 5 Top Car Leasing Tips, car, car leasing, car leasing tips, FVL, LS, MoT, motorists, price, seat by Mark.Hughes. Bookmark the permalink.